Chuck Grassley Demands Ford's Therapy Session Notes - Joe.My.God. 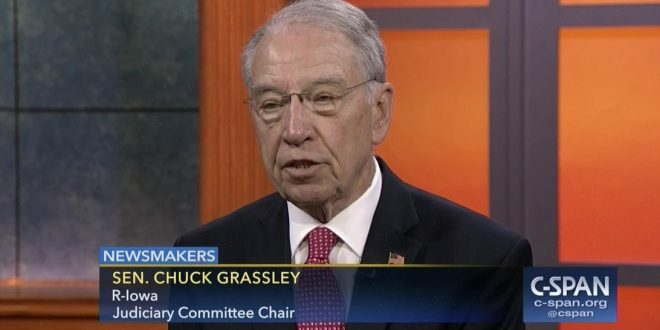 Senate Judiciary Committee Chairman Chuck Grassley (R-Iowa) is asking for Christine Blasey Ford, the first woman to accuse Supreme Court nominee Brett Kavanaugh of sexual assault, to turn over notes from her therapy sessions and recordings of the lie detector test she took. The WSJ report is behind their paywall.